CLICK HERE TO DOWNLOAD THE 2019 CSM WELCOME PACKET which includes basic Camp information. We invite you to read the sections below for more detailed information. We have provided you with a checklist of all the typical items campers will need during their stay at Camp. Please note that laundry services are provided only for campers staying longer than 2 weeks and also for all campers who experience an urgent need. Please label your camper’s clothing to prevent him/her from losing any items at camp. Enough play clothes for your camper’s stay: shorts, socks, underwear, t-shirts, sweatshirts (mornings can be cold!) etc. In an effort to provide the safest and most enjoyable camping experience for our entire community, we ask that parents and campers work together with CSM to help prevent, as best we can, disruptive or harmful items being brought onto our camp grounds. An excellent cooperative strategy is for parents to help their child pack their belongings for their stay at camp. On the first evening your child spends at camp, his counselors will lead the entire cabin in a luggage inventory during which we will catalog their items packed and also help ensure he/she returns home with all that was brought. Thereafter, CSM staff will take appropriate steps, through inspections announced or unannounced, to maintain our expectations of a safe summer camp. The above stated policy is a “best practice” and has been adopted in an effort to make camp safe and secure for all campers. We appreciate the cooperation of our campers and parents in this very important matter. Cell phones or web-enabled devices: (laptops, iPods, iPads (tablets), MP3 players, expensive electronics) illegal substances such as drugs and alcohol, cigarettes and other tobacco products, adult/inappropriate books and/or magazines, weapons of any kind, walkie-talkies, inappropriate messaged t-shirts, prank items (shocking pens, magic ink), skateboards, bikes, camper-owned vehicles, pets, televisions, laser pens. Suitable funds for your camper’s spending account. Your camper’s physical examination form signed by a physician. A front and back copy of your health insurance card. A signed “Daily Medication” and “Over the Counter and As Needed Medications” sheets. These sheets acknowledge that you, as legal guardian, are aware of and accept all of the rules and regulations of Camp Sancta Maria. These sheets also detail the medication that can be administered to your child. If your child is taking medication, make sure he/she has a full supply for their entire stay. If this is not the case, please notify the camp health officer during check-in. MEDICATION MUST BE IN ORIGINAL PACKAGING. Primary Insurance Holder Information form. During check-in, campers are assigned a cabin according to their age. We are happy to receive cabin mate requests as long as they are the same age or in the same classroom grade. However, we cannot guarantee placing more than four campers together as one group. A group of more than four campers may have to be split into multiple cabins. We also cannot promise to place campers together who are not close in age. Boys’ 1-week and 2-week Camps: Check-in on Sunday afternoon starts at 1:00 pm and ends at 3:00 pm. We are unable to accommodate early arrivals. We will not begin check-in before 1 pm so as to allow time for the changeover between sessions. Please make sure you have your payment balance and a doctor-signed physical health form with you. Please be sure your child has eaten lunch before arriving at Camp, as no lunch will be provided on check-in day. Dinner will be provided at 6 p.m. If you need to arrive later than 3:00 p.m., please notify the camp office at 231-546-3878. We begin camper activities at 3:30 p.m.
Girls’ Camp: Check-in on Sunday afternoon starts at 2:00 pm and ends at 4:00 pm. We are unable to accommodate early arrivals. This will allow you to get your daughter settled into her cabin before the campers go to dinner. Please make sure you have your payment balance and doctor-signed physical health form with you. Please be sure your child has eaten lunch before arriving at Camp, as no lunch will be provided on check-in day. Dinner will be provided at 6:00 p.m. If you need to arrive later than 4:00 p.m., please contact the camp office at 231-546-3878. Parent & Child Weekends: Check-in on Friday evening starts at 7:00 pm. We are unable to accommodate early arrivals. Please be sure you and your child have eaten dinner before arriving at Camp, as no dinner will be provided on check-in day. If you need to arrive later than 8:00 p.m., please contact the camp office at 231-546-3878. Once you arrive, please check in at the camp office, which is located in St. Luke’s cabin. At this time, you will register with the camp staff, pay any account balance, set up a spending money account for your camper(s), meet the camp health officer, drop off medications, and get your camper’s cabin assignment. After this is completed, you may drive your camper(s) and their belongings to their assigned cabin. A senior counselor will be waiting to greet you and the CSM camp experience will have begun! Boys’ 1-week and 2-week Camps ENDING ON SUNDAY: The last Sunday morning of a session we celebrate Mass in CSM’s chapel at 9:15 a.m. All families are welcome and encouraged to attend! Check-out is at 10:30 a.m. immediately following Mass. Boys’ 1-week and 2-week Camps ENDING ON SATURDAY: Check-out on Saturday is at 2:00 p.m.
Girls’ Horse Camp and Girls’ Camp: All Girls’ sessions end on Saturday. Check-out is at 3:00 p.m.
Parent & Child Weekends: We celebrate Sunday Mass in CSM’s chapel at 9:15 a.m. Check-out is at 10:30 a.m. immediately following Mass. VERY IMPORTANT: BE SURE TO CHECK LOST AND FOUND BEFORE HEADING HOME. Each year hundreds of items are left behind. If you need to check your child out before the scheduled end of the camping session, please let a Camp Director know as soon as possible. On the camper registration form, there is a space for you to fill in the names of any responsible adults to whom we may release your child during or at the end of the camping session. Please consider this very carefully. This is very important! We CANNOT legally release a camper to anyone other than those listed on the registration form by his/her parents or legal guardians. Furthermore, campers may NOT legally leave camp grounds before his/her parents, legal guardians, or an approved adult signs the release form provided by a Camp Director. Upon arrival at Camp Sancta Maria, you may set up a camper expense account for your child with the camp staff. They will ask you for a grand total of how much you would like to deposit into your camper’s account and then subdivide it into the categories listed below. Your camper’s accounts will be tracked throughout their stay, and any remaining balance will be returned to you at check-out. If your child overdraws his/her account, we will make note of it and settle the debt before you leave. If he/she doesn’t spend all of money provided, we will issue a refund at check-out or you may donate the balance to our Camper Scholarship Fund. Below is a list of the required and optional expenses, along with suggested amounts for each account. During check-in, campers and counselors meet and get to know each other in a relaxed atmosphere. We encourage you to talk to your camper’s counselors and ask any questions you might have regarding camp. At 3:30 p.m., the campers receive a tour of the campgrounds and an explanation of the daily program, meet with the camp health officer, and are assigned to a team for scheduled activities. During check-in, campers and counselors meet and get to know each other in a relaxed atmosphere. We encourage you to talk to your camper’s counselors and ask any questions you might have regarding camp. Please be sure your child has eaten lunch before arriving at Camp, as no lunch will be provided on check-in day. Dinner will be provided at 6 p.m.
At 4:00 p.m., campers receive a tour of the campgrounds and an explanation of the daily program, meet with the camp health officer, and are assigned to a team for scheduled activities. The day ends with an evening bonfire, during which counselors tell the campers about camp expectations, programs and awards they can earn while at camp. Everyone then gathers in the chapel for a short prayer service. Lights out follows our night prayer service and the campers fall asleep in eager anticipation for the start of the next day. Our Health Officer oversees a staff of trained assistants, who are readily available in the Camp Health Office. Additionally, we are fully equipped to handle routine cuts, bruises and other types of injuries. We have a complete line of over-the-counter medications available to campers as needed. As with all over-the-counter medications, our health staff checks the camper’s health form for allergies, contradictions, and parental permission for medical assistance. For medical assistance, we have made arrangements with a local physician in Gaylord (10 minutes away) as well as with Otsego Memorial Hospital (10 minutes away). We also have accounts with local pharmacies in Gaylord, so any required prescriptions are easily accessible. When you check-in at camp, we ask that you drop off all medications (including any forms of over-the-counter medications) with our health staff and provide instructions as to the schedule of medication dispensation. MEDICATIONS MUST BE BROUGHT IN THE ORIGINAL PACKAGING. We make sure the camper knows his/her medication schedule and also where to go at medication time. If the camper does not show up on time, we contact him/her immediately to keep to the assigned medication schedule. Prior to arriving at camp, we ask you to discuss with your camper the importance of remembering his/her medication schedule. This is a big step in developing personal independence. It is CSM’s policy to inform parents of any trip to the hospital made by a camper, even in cases where an ER visit is made for a minor ailment out of regular hours. Click HERE for details on CSM’s Refund Policy. CSM does not have any set time for parents to visit their child during the regular camping season, except for the final Saturday Open House (Two-week sessions and Mini-camps B, D, & F). Through experience, we have found that parental visits during the session can often cause disruption to a camper’s rhythm of being at camp. If you do visit, we ask that you visit with your child in St. Luke’s cabin (where you checked in). If you would like to take him/her for a longer period, please arrange this with the Camp Director ahead of time. If you take your child away from camp property, you must sign a form which releases Camp Sancta Maria from responsibility of the camper while they are with you. The only people who may sign this release form are the people who are pre-listed on the camper’s signed or e-signed registration form. During the time your child is absent from camp, he/she may miss activities that he/she was looking forward to. If this is the case we cannot guarantee that lost programs can be made up. While your child is at Camp Sancta Maria, we encourage you to keep in contact with them. The preferable methods of communication are letters and e-mails. Note that CSM uses a P.O. Box. We do not use a mailbox located on Camp premises. Consequently our U.S. Post Office mailing address is NOT our physical mailing address (as it is for shipping companies). We drop-off/pick-up mail Monday through Saturday. Express carriers such as UPS and FedEx make very regular deliveries to CSM. We also regularly encourage the children to write letters home . Please note that it is helpful to pre-address and stamp envelopes for your child’s convenience in sending letters home. For younger campers, a form letter with blanks to fill in (such as “My favorite activity is_____”). A sample copy is available HERE. In some cases, bringing campers to camp armed with copies of this letter will ensure that mom and dad hear from their camper.  Otherwise, campers may overlook writing since they are having so much fun at camp. While your son/daughter is at camp, we are not able to facilitate phone communication with home, unless it is an emergency or a special circumstance. If you have concerns about your child while he/she is away, please feel free to call our camp office, so we can check on him or her. We will call you back as promptly as we can with a thorough progress report. We want your child’s camping experience to be as rewarding as possible. We distribute mail and e-mails once per day. We do not allow personal faxes to be sent to campers. The CSM fax line is for business purposes only. When emailing your child, please do not send attachments or photos. These cannot be printed. Emails are printed and distributed by office staff. Camper care packages are welcome! While your child is at camp, you may send a care package of food, clothes, books, etc. However, we ask you to limit the amount of sweets and baked goods you send so your child does not fill up on unhealthy food. We provide our campers with three nutritionally balanced meals each day that are needed to provide energy throughout the very busy day at camp. If you want to send baked goods, please send them in airtight containers to ensure smoother shipment and storage. Please do not send perishables such as fruit. Prohibited items include: cell phones or web-enabled devices: (laptops, iPods, iPads (tablets), MP3 players, expensive electronics) illegal substances such as drugs and alcohol, cigarettes and other tobacco products, adult/inappropriate books and/or magazines, weapons of any kind, walkie-talkies, inappropriate messaged t-shirts, prank items (shocking pens, magic ink), skateboards, bikes, camper-owned vehicles, pets, televisions, laser pens. On the last Saturday of the traditional two-week camp, we host an open house for parents and families to see first hand what their child has been doing throughout their stay at camp. Open House will begin Saturday, July 6/ July 20/ and August 3 at 6:30 p.m. When you arrive at CSM for Open House you will be greeted by a staff member and checked in. Your camper will meet you near St. Luke’s cabin. There will be a number of planned activities such as a rodeo and horseback rides, climbing the rock wall and heading down the zip line. Your camper will also be able to show you around the grounds and tell you about all the things he experienced. At about 8:15 p.m. there will be a bonfire and award ceremony, followed by our evening chapel service. At 9:30 p.m. parents depart for local accommodations and the campers proceed to the camp party for such traditions as Baked Alaska! The last Sunday morning of a session we celebrate Mass in CSM’s chapel at 9:15 a.m. All families are welcome and encouraged to attend! At 10:30 a.m. check-out begins. The last Sunday morning (Sunday June 30, July 14, and July 28) of the session we celebrate Mass in CSM’s chapel at 9:15 a.m. All families are welcome and encouraged to attend! At 10:30 a.m. check-out begins. NOTE: These sessions end on Saturday, August 10, not Sunday, August 11. Campers will head to lunch at 1:30 p.m. and at 2:00 p.m. parents will arrive and check-out will begin. We ask that you help your child to collect all of his belongings and move out of the cabin by 4:00 p.m. NOTE: These sessions end on Saturdays, not Sundays. Campers will attend morning Mass and regular morning programs. At 12:30 p.m. campers will head to lunch and at 2:00 p.m. parents arrive and check-out begins. We ask that you help your child to collect all of her belongings and move out of the cabin by 4 p.m.
We recommend that parents label everything a camper brings to CSM. We cannot be held responsible for any items lost while your camper is with us. We also recommend that campers refrain from bringing items to camp that are new, extremely valuable, breakable or have strong sentimental worth. All clothes left at camp will be collected, washed and kept until after Labor Day Weekend. After this date, we take all clothing left behind to local charities. We greatly appreciate your efforts to retrieve clothing. We encourage you to be very careful when packing up to take your camper back home. Laundry bags, fishing poles, baseball mitts, flashlights, cameras, pillows, bathing suits, towels, lacrosse sticks, and boots are common items left behind. Items left behind are immediately removed to make way for incoming campers. Due to the volume of campers, it is difficult to mail items back to you. Be sure to check the lost & found area by the Rec Cabin, under bunks and the shelving units before you leave the grounds. Please note that because subsequent sessions begin as others end, cabins are cleaned immediately and recovered items are removed very promptly. Please let us know immediately if you are missing something as this makes it much easier to locate the item. We regret that recovered items can only be mailed back to you upon receipt of payment for shipping.